Sekhmet, the dreaded lion-headed goddess, is an incarnation of the scorching eye of the sun, which must be appeased through a special rite. She protected the pharaoh and accompanied him during wartimes. 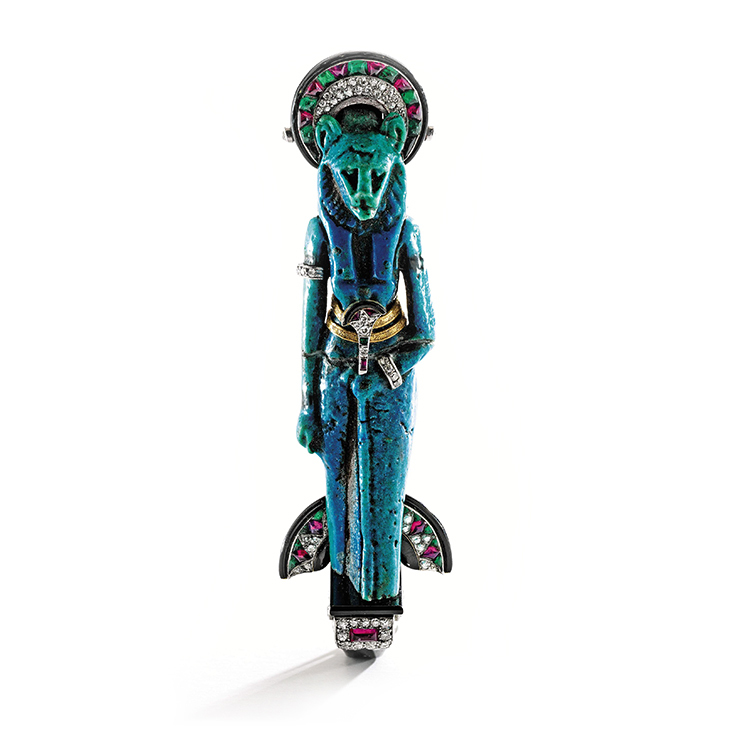 Cartier acquired this little statuette, dating from the second half of the first millennium B.C.E., from the Paris dealer Kalebdjian, a great specialist in ancient Egyptian antiquities.